Starting and Completing your jobs on time is a critical part of your role as a Creator. Providing our Brands with a real-time experience is one of the cornerstones of the 90 Seconds product offering, so you are expected to Start and Complete jobs at the scheduled time. 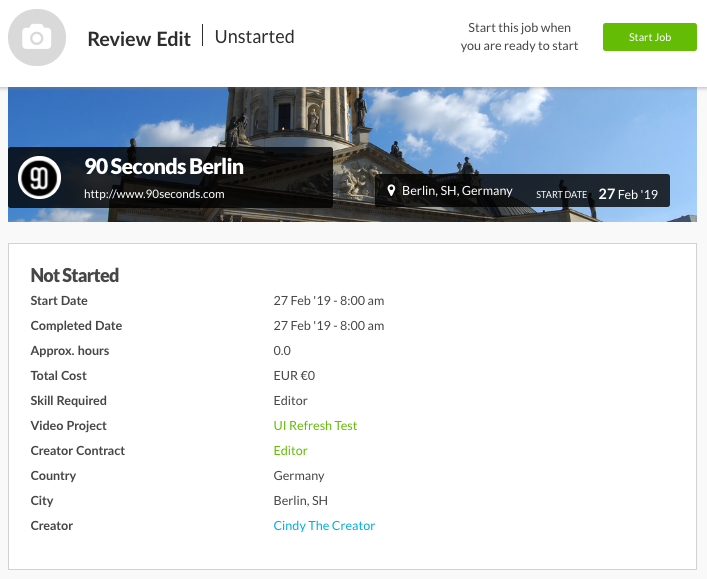 If you are unable to complete your Job by the scheduled date or time, please communicate through the activity feed on the project page so that the brand and your 90 Seconds Producer can resolve the issue. All jobs have a list of tasks that you need to complete. Take some time to read through these and understand what needs to be done. 2. 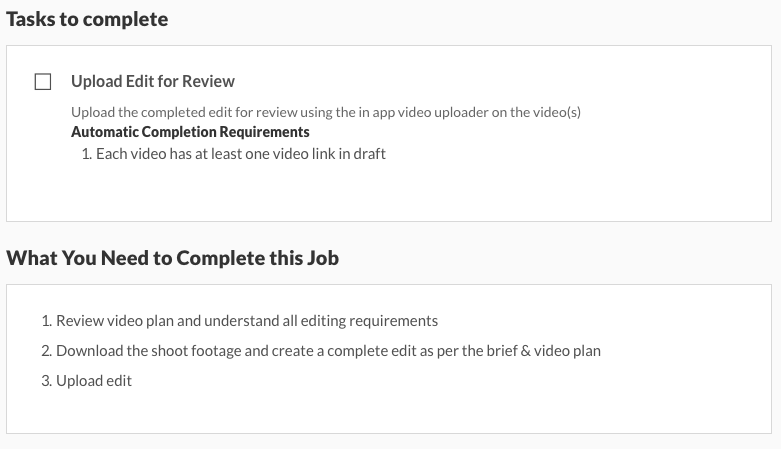 Once you've read through your tasks and are ready to get going, just click 'Start Job' at the top of the page. 3. Once you've completed your tasks and all the boxes are checked, click 'Complete Job'. After this, your payment information will be available for review on your Payment Summary page within 24 hours. It really is as simple as that! Remember: An overdue job negatively impacts the customer experience and can result in the job getting removed from your profile. 90 Seconds reserves the right to amend or terminate your contract if you miss a project deadline or jeopardise the customer experience.